I think Ki's description of the game as 'a bit boring' hits the nail on the head, some matches you just take the point and move on to the next week, especially after having to play from the 80th minute with 10 men. 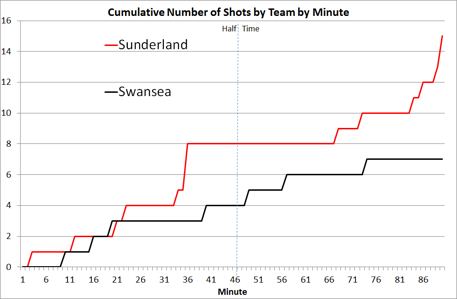 Even without the sending off, this, like the other 5 league games so far this season was another game where the opposition had more shots. 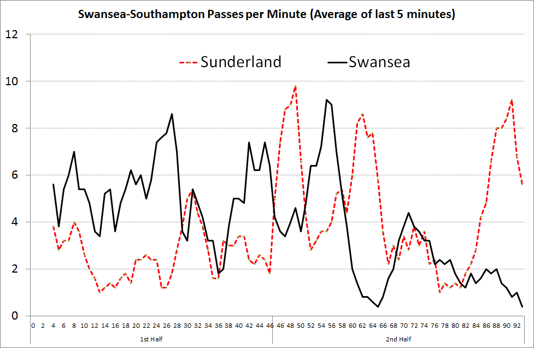 Shot volumes aren't everything but Swansea's success so far in the league has been due to taking the odd very good chance that's come along rather than creating a multitude of average chances. 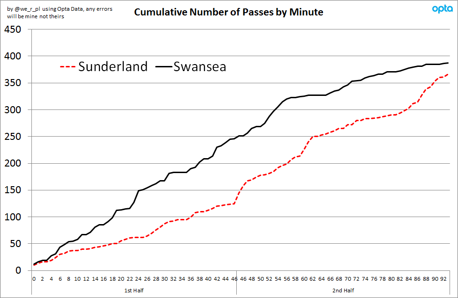 Despite only playing a third of the match, Gomez also made more final third passes than anyone else, although this will have been helped by the sending off as the pass figures from the 85th minute onwards show a total (and understandable) defensive mindset from Sunderland.